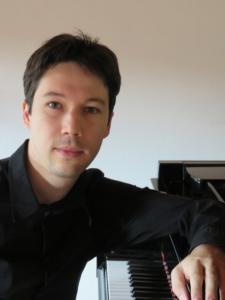 Born in Italy in 1976, Ferdinando Mussutto graduated in piano with full marks from the conservatoire “J. Tomadini” in Udine at the age of 20. He subsequently attended several masterclasses for both solo and chamber repertoire, studying with Piero Rattalino, Walther Panhofer, Daniel Rivera, Trio di Parma. In 2001 he completed a two-year advanced course with Maestro Andrea Lucchesini at the Sesto Fiorentino’s School of Music, and one year later he completed the chamber music courses at the Trio di Trieste School of Music in Duino (Trieste), studying with Dario De Rosa, Maureen Jones and Enrico Bronzi, and obtaining a distinction degree. He has won prizes both as a soloist and in ensemble in numerous national and international competitions, and he has performed as a soloist and in chamber ensembles around Italy, Austria, Germany, Spain, Belgium, Slovenia, Croatia, China, Paraguay and Venezuela, always enjoying great acclaim both from the public and the critics. He has been involved in several music projects with theatres and musical establishments of Italy and in Austria, e.g. with the Ente Lirico “G. Verdi” of Trieste, the Orchestra FVG Mitteleuropa, the Festival “La Biennale Musica” in Venice, the “Accademia Ars Musicae” of Klagenfurt (Austria), the “CarinthiaArtis” Association and the Conservatoire “A. Steffani” of Castelfranco Veneto (Treviso), the Choir of Friuli Venezia Giulia, the “S. Cecilia Music Foundation of Portogruaro (Venice), the Orchestra “I Pomeriggi Musicali” of Milan, the Tallin Sinfonietta, and has collaborated with important italian soloist, e.g. with Domenico Nordio, Domenico Balzani, Lucio Degani, Gabriele Ragghianti, Federico Mondelci, Massimo Mercelli, Roberto Fabbriciani, Cheryl Porter, the Szabò String Quartet, and Nicola Mazzanti, piccolo soloist of Maggio Musicale Fiorentino, with whom, in 2016, he’s recorded a CD that will be soon released. During his career he recorded several CDs, among wich there’s a first-time recording of chamber works by the German composer Anton Schoendlinger (sonata for viola and piano and second sonata for violin and piano) for REALSOUND label. He frequently explores the contemporary and jazz-latin influenced composition as in the sax&piano CD’s “INTERSECTIONS” for ARTESUONO label. In December 2002 he won the selection for a piano accompanist at the conservatoire “A. Steffani” of Castelfranco Veneto (Treviso) and held this position for four years, practising a lot of chamber repertory for strings and winds. In 2009 he was invited to teach in a Piano Master-Class for the students of “A. Lopez” Music School in Caracas; he teaches piano, armony and music theory since 20 years, and a lot of his students won prices in piano competitions and achieved best marks in piano conservatory exams. In 2010 the “Carinthia Artis” Association (Austria) gave him the “Carinthicum Price” for the high artistic concert activity in Carinthia. In the same year he created a cycle of concert-lessons entitled “Chopin, the poet-pianist”, playing the more significant compositions and explaining the main stilistic lines of the composer in relations to his biography, reaching a great success among the public. 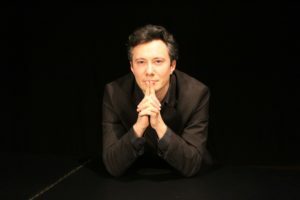 He’s the leader of the Ensemble “Piano Twelve”, a group of twelve pianists playing original arrangements for twelve pianos, whose concerts have drawn a lot a public in Lugano Congress Center (CH), Milano’s Expo, and Palazzo Pitti in Florence. He’s often member of jury in many piano competition and scholarship’s assignments for development of young artists. Roberto Brandolisio earned the graduation in piano at the Conservatory of Udine Jacopo Tomadini with the highest honors, then he also earned a second graduation in composition. He took part to a lot of masterclasses, studying with important names of the International scene, such as Marian Mika, Jeffrey Swann, Riccardo Risaliti and Daniel Rivera. In 2010 he won a scholarship for répétiteur course at the Teatro Lirico Sperimentale A. Belli in Spoleto and had the opportunity to study with Marco Boemi, Enza Ferrari, Michelangelo Zurletti and Mirco Roverelli. In 2016 he was selected as an accompanist for the third edition of “Exzellenz-Labor Gesang//Oper” in Germany and he worked with important name of the international scene such as Hedwig Fassbender, René Massis, Fausto Nardi and Umberto Finazzi. He performed several times in Italy and abroad as a soloist, in ensemble and as accompanist including the Wiener Saal of Universität Mozarteum in Salzburg, the Music academy of Tirana and the Historisches Museum in Frankfurt. In 2017 he has been selected as “best talented musician to represent the italian’s excellence in the world” together with the soprano Elisa Iovele Del Bianco, with whom he has been collaborating steadily, and performed both as an accompanist and as a soloist in Lima, San Salvator de Jujuy, Montevideo, Buenos Aires, Adis Abeba, Mexico City, Chicago, Albania, always enjoying a great public and critical success. He worked as répétiteur in “Il matrimonio segreto”, “L’elisir d’amore” and “Rigoletto” and he also took part to some productions of contemporary as “Arcibaldo Sonivari e il misterioso caso della musica scomparsa” (composed by Mario Pagotto), and “La Fugitive” (composed by Lucio Gregoretti). In these productions he worked both as répétiteur and pianist in orchestra. In 2016 he worked as répétiteur for the “Mittelfest” in the contemporary opera “Domenico Scandella detto Il Menocchio” composed by Renato Miani. As a composer, his works have been performed several times in Italy, especially in Udine for the festival “Udine contemporanea” and for the association “Amici della musica” and abroad in the Wiener Saal of Universität Mozarteum in Salzburg always enjoying both from the public and the critics. He have been collaborating with the Udine Conservatory as pianist since 2014 in particular as accompanist in the class of singing.